Many developers and publishers have chosen to pass on the Wii U, however there are some who still support Nintendo’s latest troubled console. Just not full support. Ubisoft’s Assassin’s Creed 4 is available for the Nintendo Wii U, which is good news, but if you were looking forward to getting some Assassin’s Creed 4 DLCs, you can forget that idea. 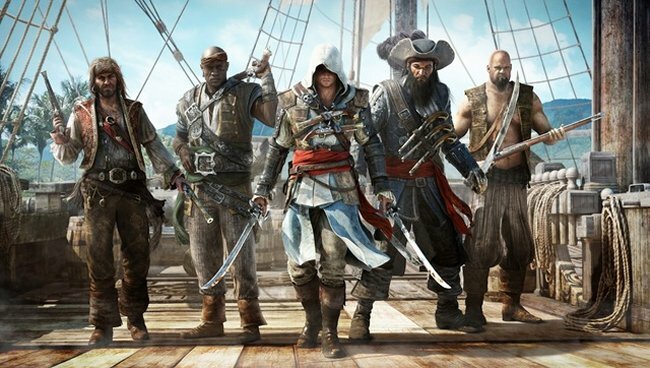 Gamereactor recently spoke to Ubisoft and they have confirmed that the Wii U version of Assassin’s Creed 4 will not be getting the upcoming DLC that will have a new single-player story, the Kraken Ship Pack, or new multiplayer characters. We are not sure if this is the only DLC that will be skipping the Wii U, or if all Assassin’s Creed 4 DLCs will take a pass. Either way Nintendo surely doesn’t like this or those who bought the game for the Wii U. You might remember that Batman: Arkham Origins for the Wii U will not come with a multiplayer mode and will be priced cheaper because of this. I know that if I owned a Wii U, I would have given up by now. Wii U owners have taken hit after hit and I’m not talking about hit games.